What licence do I need? Is your Gold Wing affected? Learn about bike gear and insuring and maintaining your Honda. 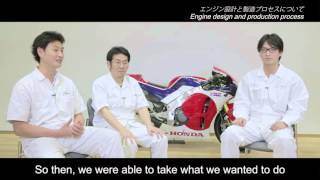 Honda's racing activity is its “laboratory on wheels.” Honda incorporates feedback from every race into all production models. RC213V-S is the result of technologies created by Honda's racing activities to produce a commercially available model, representing a new endeavor. 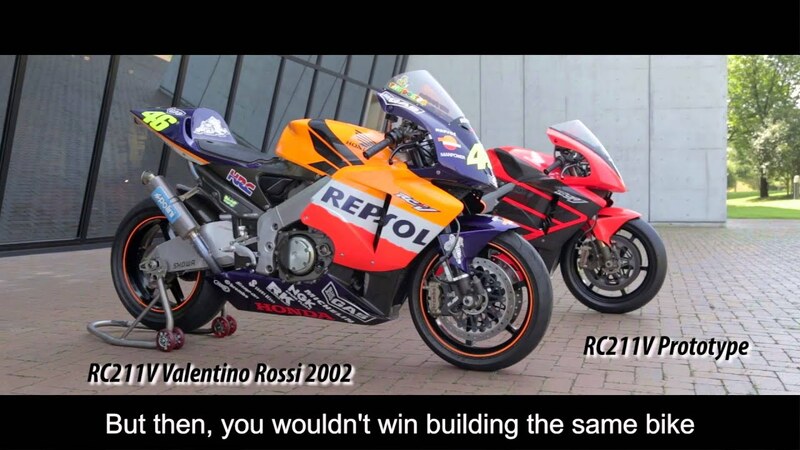 To win world championship races, speed it not everything. 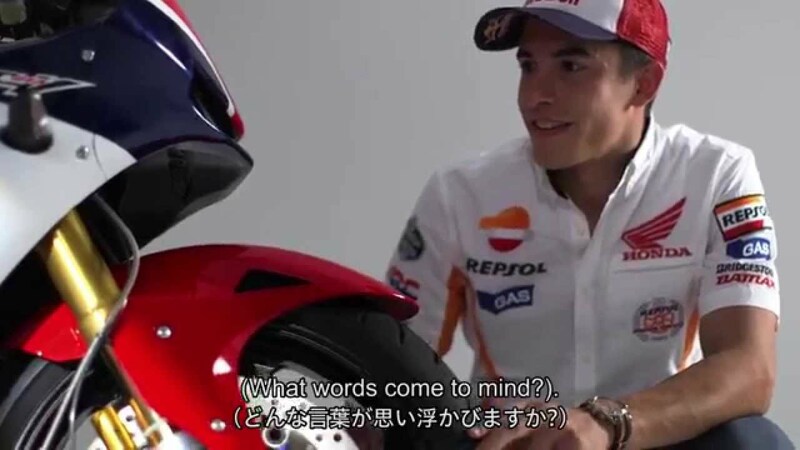 The rider needs to be able to maneuver the machine well, so Honda treats ease of use as a necessity for winning races. Honda has a principle that the fastest machine is the machine that is the easiest to maneuver. Since competing in the Isle of Man TT races in 1958, Honda has developed machines exclusively for racing, producing victory after victory. 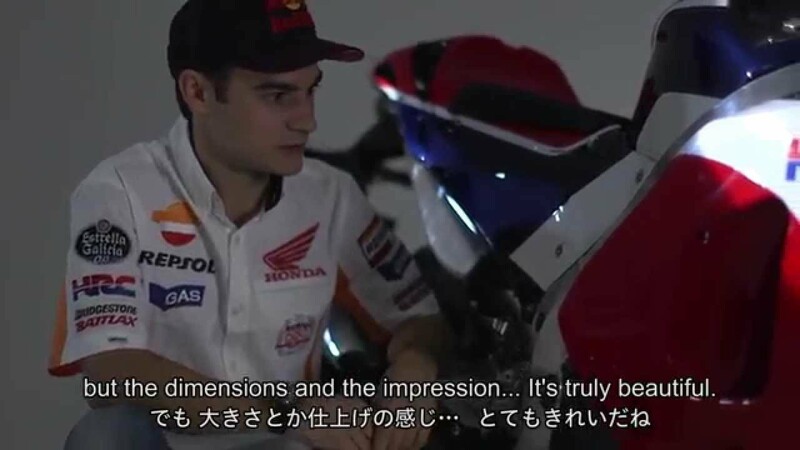 Watch Marc Marquez and Dani Pedrosa test the RC213V-S at the Red Bull Ring. Every panel of the RC213V-S has been handbuilt and meticulously crafted to ensure Moto GP handling for the street or track. See what double world champion Marc Márquez's first impressions were of the absolute MotoGP machine for the street. 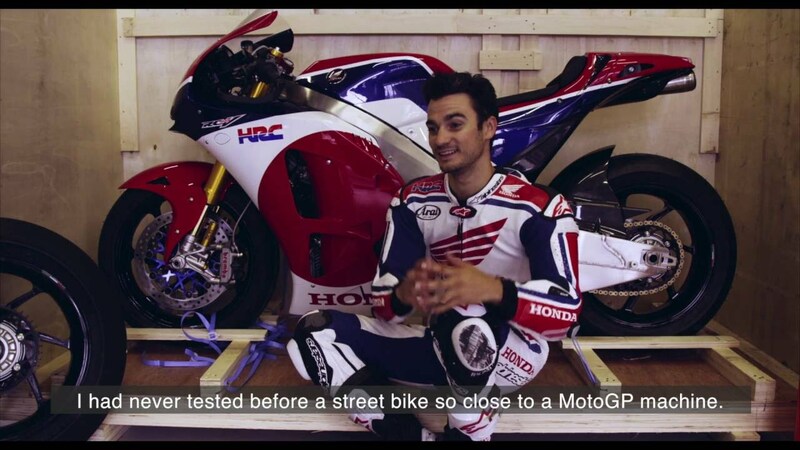 See what Honda MotoGP rider Dani Pedrosa's first impressions were of the 'absolute MotoGP machine for the street'. 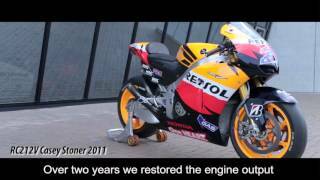 See RC213V-S undergoing rigorous testing on the race track. What did the developers aim for at the start of this project? Find out from large project leader Hiroshi Unuki. Designing the RC213V-S was a unique challenge. Find out how three body engineers achieved such an outstanding machine. The design of this bike had to be inkeeping with the Honda spirit. 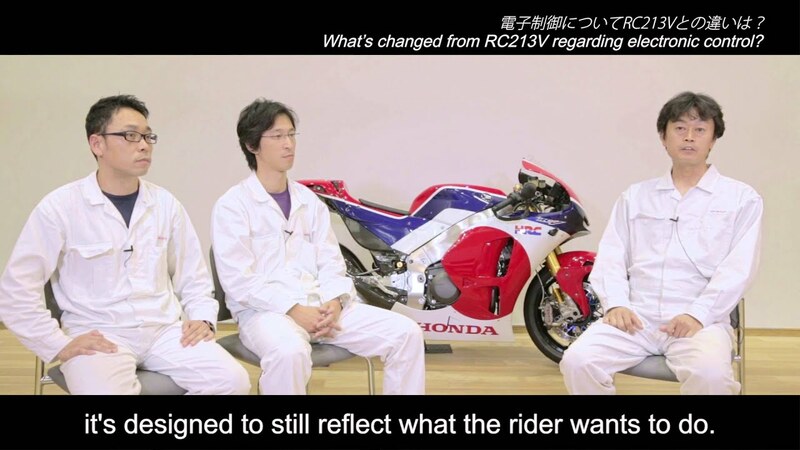 Find out about how Hiroaki Tsukui went about designing the RC213V-S. 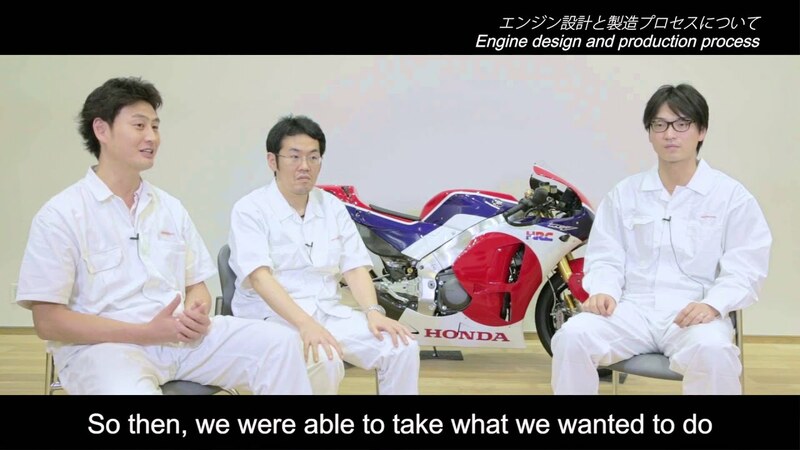 Learn about the engine design and production process from three RC213V-S engineers. What was the biggest challenge for noise reduction and the electronics package when creating the RC213V-S? 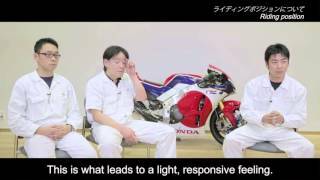 Find out from three of RCV's engineers. Discover the RC213V-S development concept from large project leader Shogo Kanaumi. 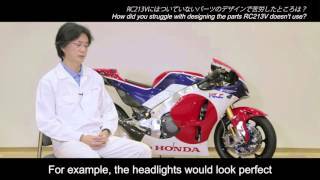 Learn about the RC213V-S design concept with Hiroshi Unuki. RC213V-S has been developed according to the Honda principle, making it possible for the RC213V, to run on public roads. 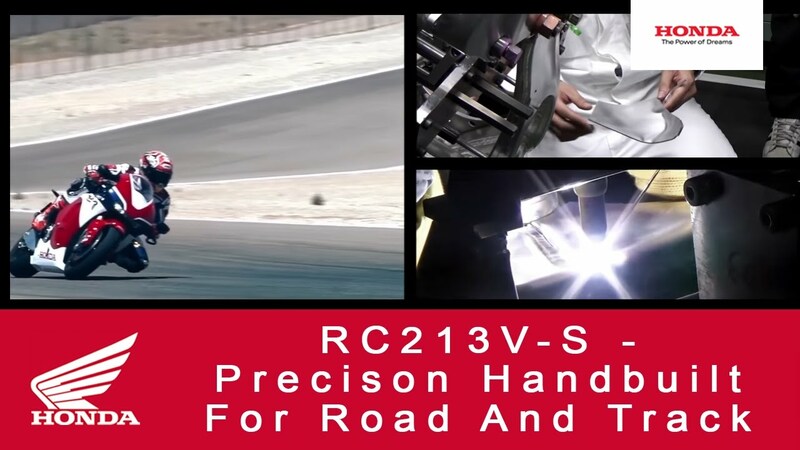 RC213V-S has inherited the specifications of RC213V to thoroughly ensure mass concentration, reduced friction, use light weight materials as well as precise machining of the components and expert skills required in manufacturing. The RC213V-S is also equipped with control technologies used on RC213V. Only the necessary changes to the RC213V machine have been made in order to enable the RC213V-S to be ridden on public roads. It’s been a long time since it’s been possible to produce a road bike with this much performance. We believe the key to the next step of evolution is the GP machine. Honda Motorcycles is constantly pursuing the challenge of making customers happy through technology. RC213V-S is our expression of this determination. 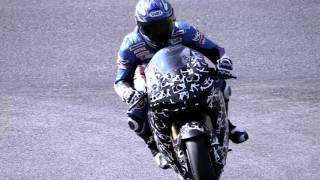 For MotoGP bikes, when it comes to manufacturing something so different to a regular production bike; including component weight reduction, processing accuracy and high level of technical proficiency during manufacture. RC213V-S shares these two factors with RC213V. The only technical differences are that the RC213V's pneumatic valves are replaced with coil springs (although the camshaft gear train remains the same) and the seamless gearbox is replaced with a regular road-going one. These parts are more durable for long term use and were adopted from the readily available RCV1000R open category racing bike. To meet road laws, RC213V-S is equipped with head/taillights, side mirrors, speedometer, muffler with catalytic converter, license plate holder, horn, etc. For practicality, the RC213V-S's tires, brake discs and pads are new, while the bike’s steering ratio is now wider. Extra equipment includes Honda’s Smart Key, a starter motor and parking stand. With RC213V-S, we set out to recreate RC213V’s handling for use on public roads. We made sure that each component differs from mass-produced items in their materials, surface treatment and manufacture to improve rigidity and strength while reducing weight – just like RC213V. Each part is also processed by hand and machined to the same specifications as RC213V – the highest possible. The RC213V-S was designed for riding on public roads, however a Sports Kit option is available for racing on closed circuits. Installing the Sports Kit, removing the lights and other procedures are handled by a designated dealer with bespoke tools and training for the RC213V-S.